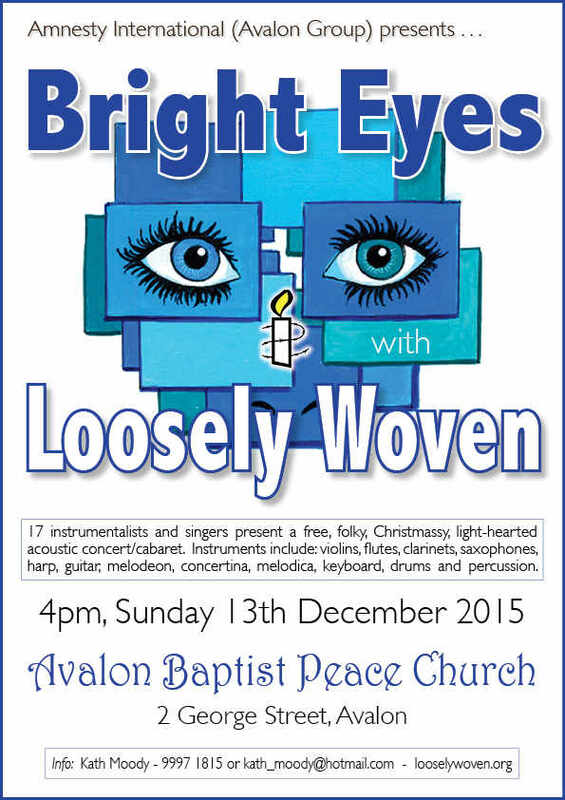 Loosely Woven, consisting of 17 instrumentalists and singers, will bring to Avalon their brand-new concert, ’Bright Eyes’, named after the well known Art Garfunkel song. The main theme of the concert will be ‘Refuge for Refugees’. 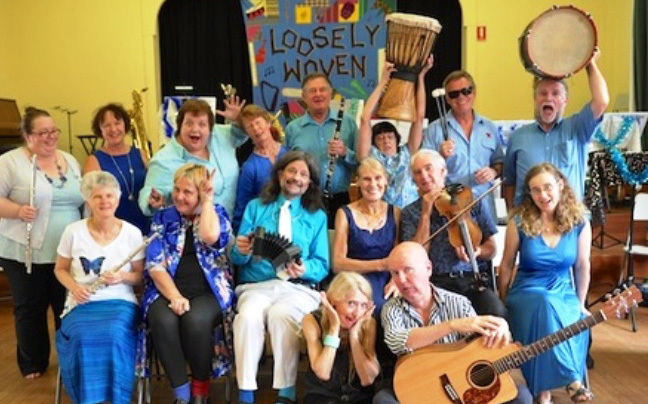 Through music by Loosely Woven and Western Australian singer/songwriter Bernard Carney, we aim to continue the conversation to encourage the Australian Government to adopt a more compassionate refugee policy. The program also includes two other Australian songs and, of course, a few Christmas items including a fabulous, but rather different arrangement of Silent Night. And, as usual, there will be a few ‘pop’ favourites. Instruments this time will include violins, flutes, harps, clarinets, concertina, accordion, melodica, guitars, keyboard and percussion. So bring your friends and dancing shoes, the entertainment and delicious treats are on us. Avalon Amnesty International group is at present working on several campaigns. At our concert we will give supporters a chance to sign letters as part of the Amnesty “Write for Rights” campaign – around the world millions send letters on behalf of innocent people who face discrimination, violence, imprisonment and even death. We are also working for indigenous youth to try to help change the patterns of imprisonment and suicide by the “”Community is Everything ” Campaign.